Have you ever thought about the versatility of cucumbers? At first glance they might look quite unimpressive, but the Cucumin sativus definitely has plenty to offer. 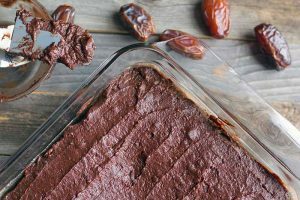 Not only can you eat it raw, steamed, or cooked, but you can use it for a refreshing face mask or add it to drinks, chilled soups, or frozen desserts, too. 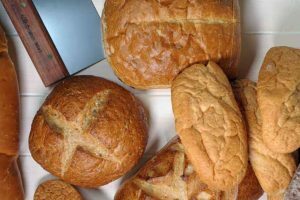 What other food can offer such diverse and fabulous uses? There is another great advantage to this vegetable. 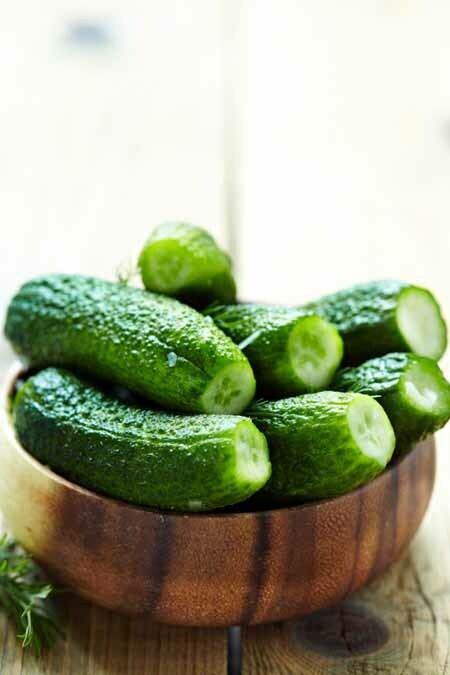 The cucumber is a low-calorie food that consists of up to 98% water, which makes it an ideal ingredient for dieting, guilt-free snacking, and including in summer recipes. When buying it from farmers markets or in supermarkets, try to find products with untreated skin, and wash thoroughly at home, because you really don’t want to peel it – many of the best vitamins are hidden in the skin. Additionally, leaving the peel on this veggie gives your salad a nice splash of color. When selecting a cucumber to bring home, keep an eye on its general outer appearance. It should feel firm and have a rich green color, without any pressure marks on the skin. A fresh cucumber can be stored in the vegetable drawer of your refrigerator for up to one week. 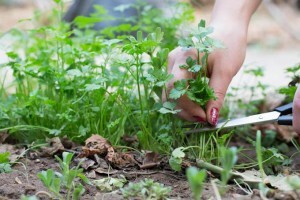 And if you’re interested in growing them fresh in your own garden, you’ll love this informative post from our sister site, Gardener’s Path. As I mentioned before, a great side benefit of the veggie is its cosmetic quality. Due to its high water content, it can work as a moisturizer for your skin. To soothe a sunburn, cool the affected areas of your face or body with a few raw slices. When your eyes are stressed after hours of sitting in front of a computer, you can put some slices on your closed eyelids. It will also help blemished or sensitive skin when included in various skin creams. Back to the culinary uses for this garden vegetable. Depending on the preparation, it is not usually necessary to remove the seeds. 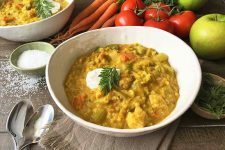 However, if you mix it with yogurt or cream, this might be the better choice, to avoid diluting the dish with its high water content. 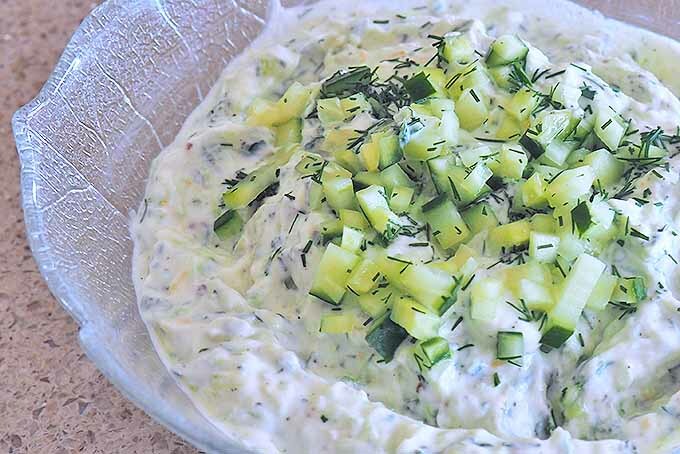 Another way to avoid the problem is described in our recipe for tzatziki dip. By salting the slices and running them thorough a food mill (and allowing it to set for awhile), the extra water that collects can easily be poured away. But the cucumber is fantastic on its own too, without any help of other ingredients. Peel or cut a pattern into the skin for a fancy buffet garnish. Running it through a vegetable spiralizer is also a fantastic idea, to spiff it up a little. 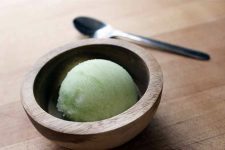 Fresh cucumber can even be used in sweet recipes, like this refreshing sorbet. Or, you could even halve cucumbers and scoop out the seeds to use as boats for serving hummus, dips, and salads. 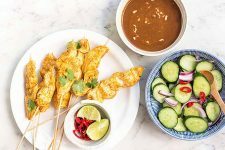 Both recipes below are great ideas for bringing on a picnic, or serving at warm-weather parties or barbecues. Tzatziki is a yogurt-based dip from Greece. 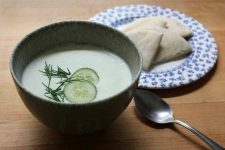 The cucumber gives it a fresh flavor, and it can be served with ciabatta, pita bread, baked potatoes, or grilled meat. 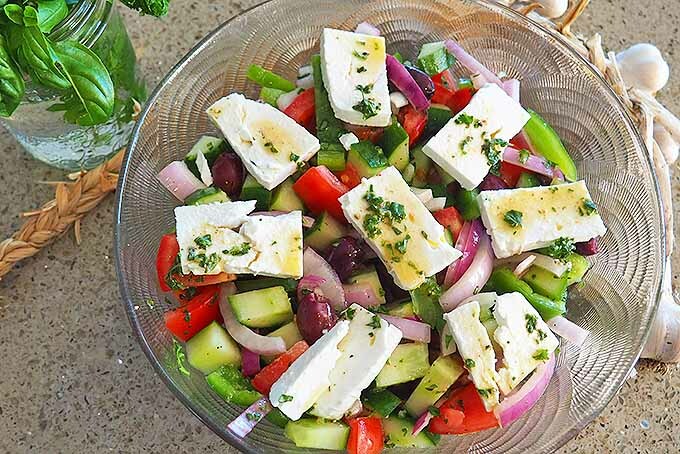 Classic Greek Salad (sometimes referred to as a Turkish shepherd’s salad) is also quite famous. Fresh vegetables that are mixed with parsley and mint make a nice Mediterranean combination, and the flavor is boosted by the addition of crumbled feta and olives. Photo credit: Credited photos by Lorna Kring, © Ask the Experts, LLC. ALL RIGHTS RESERVED. Uncredited photos: Shutterstock. Great post, they are a background superstar. Don’t forget about pickles! I mean pickled cucumber is so ubiquitous we just call them pickles and everything else gets pickles added in front when it’s pickled. I love pickles almost as much as I love cucumbers. You’re right, pickles are omnipresent too. There are lots of varieties with chili, herbs etc. I think one could write a whole article only on those. 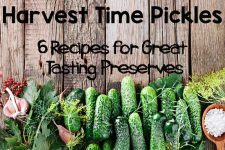 They can be used for many dishes or enjoyed plain and making pickles is a perfect thing to try at home. These have always been one of my favorite vegetables. I love the insides, but unfortunately, really dislike the skin. I will eat the skin of many fruits and vegetables, but draw the line at cucumber skin. 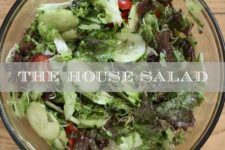 I enjoy simple salads, and really love your recipe for the Shepherd’s Salad. It has so many of my favorites, and sounds very easy to make, so this is going to be a must make recipe for me. I’m a big fan. They’re so refreshing in the warm weather, and as you said, super versatile. I’ve used the slices over the eyes trick as well, haha. It really does work! Both of those recipes sound absolutely delicious, I need to try them out. It does, right? 😉 It is definitely a refreshing feeling. I often catch myself at chopping a whole cucumber, put four slices aside (one pair to change when there’s enough time to relax) and just snack away the rest. I hope you’ll enjoy the recipes too! Although I don’t exactly like cucumbers, I do like pickles ( yeah I know what type of sense does that make ). I have heard of people using cucumbers for their eyes and it makes sense seeing that it has high water content. Cukes are great. Another wonderful thing about them being loaded with moisture is that they can help you stay hydrated during hot days (and nights). While there are many great dishes you can make from them, they are even quite delicious all by themselves, especially when chilled. To make them look even prettier, peel and then run the tongs of a fork down the sides, lengthwise before slicing. 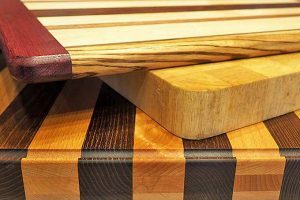 The grooves add a nice little touch to make them look even better on veggie trays or in salads or other dishes. I probably shouldn’t make any Tzatziki though. I could eat that stuff on … everything. Yum! Using the fork like that is a great idea, thanks for the tip! It is really useful to have some pieces of cucumber on hot days. Sometimes I just can’t drink that much of water so I like to eat products that help providing moisture too – and this is the perfect way. I should have added that you can also use the fork trick if you are leaving the peel on. They look really cool like that. I love making pickles slices like that. They turn out so pretty. It even dresses them up enough that they work as a side dish for dinner. I often just put a little pile on the plate or fill a ramekin instead of the typical spoonful of hot veggies. It’s nice to have something light and it looks appetizing. Thank you for the additional idea! Certainly. I’m all for quick and simple sides. It works well for me, since my husband often arrives home after everyone else has eaten, during the week. So, I don’t want to make a whole big side for one person. Cutting up some cukes works great, or I make a simple salad with some of these and some onion with a bit of vinegar and oil. 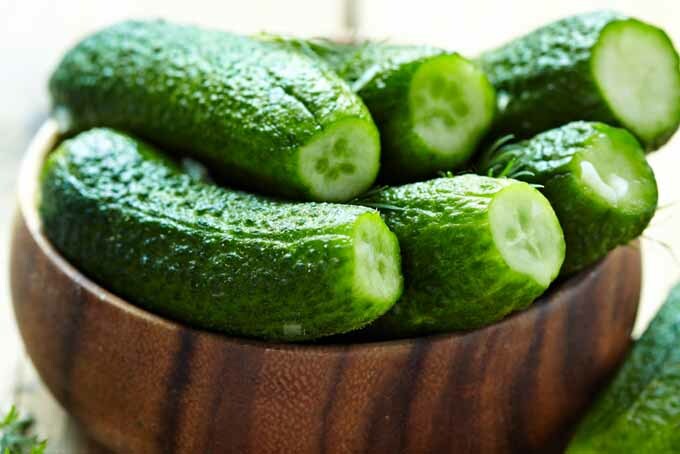 I am guilty of guilt-free snacking on cucumbers all the time! 🙂 It is such a versatile vegetable, yet I’ve only used it in salads and as a face mask, unfortunately. I am right now considering that Greek dip, however; it looks delicious. Thank you for the article. Yeah, I’m really using cucumbers a lot. I never heard of this greek dish. The gyro is all I’ve even heard of. I’ll have to try this one. I like greek yogurt because it has very little sugar in it. Certain brands though. Some even go down as low as 2 grams. Anything over 4 or 8 grams I don’t buy. 24 grams of sugar in a yogurt is pointless. The whole point of having yogurt in your diet is because of the acidophilus. It keeps the unfriendly bacteria out of your system. The digestive, stomach, and blood. Sugar encourages the growth of it. Especially white sugar.Too much sugar, starch and bread causes this overgrowth to actually be in your blood. So, keep it low. Thank you for this detailed comment. I agree with you, one should always have a look at the ingredients and nutritional information. Often it’s worth it to compare products and find the one that fits best, there can be huge differences. I hope you enjoy the tzatziki. 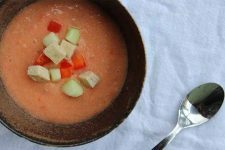 With some greek yogurt and cucumber, it is a delicious and refreshing dipping sauce. Oh man, I practically grew up on cucumbers when I was a kid. The farmer’s market downtown was always able to sell them so cheaply somehow–you could get four or five for less than $1.50! My mother swore by them for the exact same reason you do. They’re very versatile and low in calories. Probably my favorite low-maintenance snack as a child was a diced cucumber with a little bit of Italian dressing drizzled on top. Hardly the most gourmet recipe in the world, but it was a heck of a lot better than eating Cheetos! Here in Germany, there are also some real simple salad recipes, like thin slices of onion and cucumber with oil/vinegar, that’s it. Okay, okay, okay! I’ll stop peeling my cucumbers! 🙂 I’ve heard it over and over again, but now I think I’m convinced. I didn’t know about the Cucumin. I probably need this. Don’t ask me why, but I know that I do. Somewhere along the line in my journey back to health I read about Cucumin and Tumeric. I’m actually taking a supplement right now called Turmeric, and if I recall it’s due to inflammation. I don’t see as to where it’s helping though. I much prefer eating natural, organic whole foods. I buy organic vegetables fairly often and then let them sit on the counter too long and they rot. I’m going to change that. I usually prepare cucumber with vinegar plus salt and pepper, just that and still a hit every time (you can also add a couple of chili’s for extra kick, works really well as a side dish for grilled meats). Thanks for the additional recipe, will try to do that when its cucumber season again here in PH. Your easy cucumber recipe sounds delightful, I would definitely add some chili, I am a fan! And I can imagine the fresh and cool flavor of cucumber is a good balance for some hot spice. Great idea! The Tzatziki sounds so refreshing!! Cucumber has a nice cool taste that’s refreshing so pairing it with lemon I expect would leave you feeling so refreshed and revived. It’s literally perfect for summer! It’s a shame it’s forgotten about quite a lot…I am certain McDonalds and KFC don’t have cucumber in their salads. They have lettuce and tomatoes, sometimes onion and that’s it. There are different varieties too so it’s not like they can make a valid excuse against including it other than laziness or cost….but adding it would make such a huge positive difference! Don’t forget the traditional way to eat it though….nice thick slices with some roast chicken or ham on a sandwich! It works great because it’s refreshing, but if you have a dry meat like chicken it also helps keep it from choking you ha ha. I don’t like cucumbers but I like pickles. How nuts is that? I once went to a place where they had a tank of water and cucumber slices were in it. I had never tried it before so I took a chance and drank it. Let’s just say it’s not my favorite type of drink. I don’t know how I could get myself to like cucumbers other than in the form of pickles. I guess you can say I’m in a bit of a “pickle”? Cucumbers are so delicious, one of the most refreshing foods. 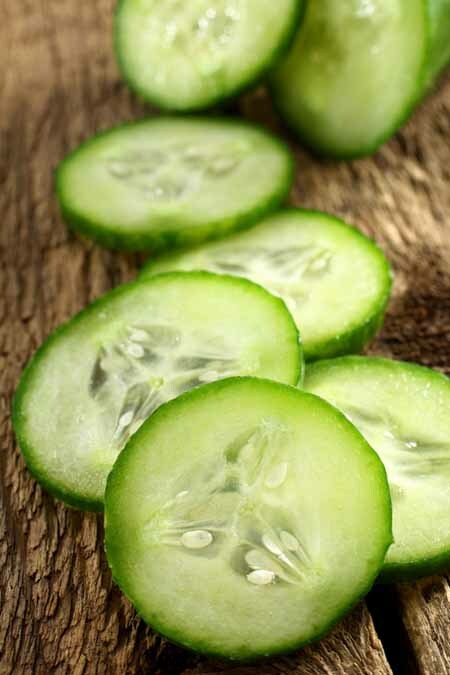 Not only do cucumbers hydrate, they also provide essential nutrients to get you through your day. Cucumbers are a great, and also efficient snack. They are easy to pack, and go well with many dishes. They can be used as sides, or even in the main dish as well. Not everyone enjoys cucumbers, but for the people that do, you are truly blessed. Cucumbers are good in salads. I like eating them alone with ranch too. Never thought of making it like the Greek Yzaziti though. Cucumbers always add a refreshing taste to many dishes. I like it in salads and sandwiches. Interesting way of adding cucumbers in a dip. I’ll definitely try out the tzatziki recipe. I like cucumbers fresh and on their own. But they’re really good too with spicy salsa. Sometimes I like to add some guac in there too. I haven’t had tzatziki before but will try soon. Thanks for sharing. I recently starting adding cucumber to my water. I love the way my water tastes after using it. (You only need to use a small slice otherwise it becomes overwhelming). I also heard that cucumber, mint and lemon water is a great detox drink to help loose weight. Right, cucumber infused water has become quite popular too, hasn’t it? But it is indeed a refreshing and healthy drink. The combination with mint and lemon sounds amazing, even in the cold season, I can imagine to have that combination for a refreshing boost. I really love cucumbers. I really enjoy it with a dash of salt and black pepper. But have you tried making a juice from it? It is the most refreshing juice ever. I just like to add some kool aid to give it a little color when I make the juice. Thanks for the idea, I have to admit that I haven’t tried to make a juice from it yet. But I can imagine that it has to be refreshing and vitalizing. I will keep this in mind for the next time I am going to get cucumber. I absolutely love the taste of cucumbers. I grow them every year in my garden so come summer time I have an abundance. I make everything from salads to tzatziki dip with them. I also throw some in my water with a little lemon and mint for a tasty detox drink. I only wish they were easier to preserve for winter. That is wonderful, I would love to have a garden and be able to grow them on my own, too. With so many cucumbers, you have to get creative at cooking, I suppose, if you don’t want to waste them. Concerning that you’re right. It’s hard to preserve them fresh for winter without doing pickles or else. That would really make me sue them so much more, if I could just walk out there and grab one fresh out of the garden, but unfortunately I am stuck with having to buy them. I am not a big fan of pickles so I would hope there are some other options for preserving them, or using them up. Great! I wish you success for the Tzatziki recipe. It is one fabolous recipe for cucumbers! I hope it turns out well and you can add a new cucumber-inspired dish to your list 🙂 Enjoy! I love cucumbers, especially in a face mask but I’ve never heard of eating them steamed or cooked. Does that even taste good, steamed cucumbers? I also love a few slices of cucumber on my eyes. Whenever my dark circles get too noticeable I just pop a few on and it does wonders for my face. Not only that but cucumber aloe juice is the best. I add a little honey sometimes and it tastes fabulous. I need to try the recipes. I’m not the biggest fan of yogurt but the Greek Tzatziki looks wonderful. And it has dill in I too, one of my favorite herbs. Well, there was a recipe I remember (back when I was a child) and it was steamed slices of cucumber with béchamel sauce and small meatballs, served with rice. I really liked it and still enjoy it today. Sure, they change their consistency and get some different flavor, but it’s possible and – at least from my point of view 😉 – tasty. You all have so great idea of how to infuse your drinks with cucumber – Aloe and honey sound like a wonderful combination. 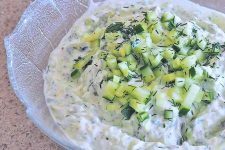 I hope you’ll enjoy the Tzatziki recipe if you try it! The Greek Tzatziki looks amazing! I’m going to try that, but as always, I’m going to add one or two more cloves of garlic!! I always add a little more garlic! I like to juice cucumbers. They are packed full of vitamins and provide a lot of juice! The taste is mild, so it can help dilute the flavor of some of the other vegetables I juice! Yeah, why not? I love garlic, but I’m always careful using it, because there is some disagreement in the family about the right amount of garlic in certain recipes 😉 But some more cloves will certainly work well with the Tzatziki. Juicing cucumber is one perfect way to use them, instead of just eating. I don’t own a juicer myself, but I can imagine that it is a great opportunity to increase your daily veggie-income and get some variety into your drinks. I have not been a lover of cucumber ever since i was young. The recipe in this article however make me have second thoughts about including cucumber in my day to day diet. 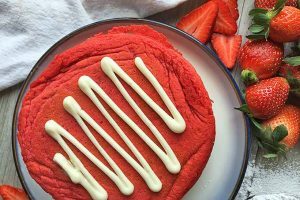 I needed to hear more of available recipes related to the thread sentence. I have not found anyone that looks good to try. Looking forward to more posts. 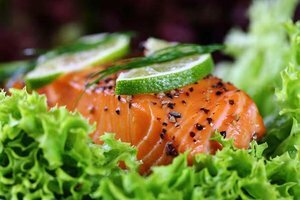 I’m sure you’ll find something else you like on Foodal, we have lots of great tips and recipes. Enjoy reading! I love using fresh cucumber. I use it in salads, I keep a pitcher of cucumber lemon water in my fridge at all times. My most recent experiment has been making homemade pickles. My family loved them! Oh, homemade pickles sounds great. I think when you know how much work you’ve put into making products like that, it tastes at least twice as great 🙂 Enjoy your homemade supply! I absolutely cannot WAIT for spring to arrive so that I can start buying fresh produce like this again… I want to start having a lot more smoothies and I think cucumber would be great to go in a “greens” smoothie. 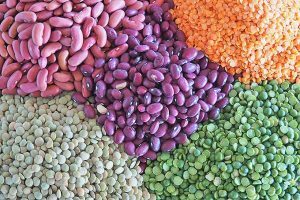 I’ll chalk this up to learning something new every day… and this is a good thing to learn because I sure do enjoy learning ways to get more nutrients in my family. Oh yes, a nice and refreshing smoothie in spring time is definitely an awesome drink and I suppose cucumber are a perfect choice, as you suggest. I do love Cucumber a lot. But I never knew that something so underrated can be this versatile. I never go on making recipes out of a cucumber. I instead eat them raw. I did try out this recipe and it was delicious. My mother makes something similar to this which is also this delicious. Cucumber is very good for your eyes and also for rehydrating your body. I agree with you on not peeling the skin as it acts as cellulose and helps clean your digestive System. Anyway, thank you for the recipe. I’ve never had Tzatziki. I’m sure its good on a wrap with veggies and maybe some grilled tofu. 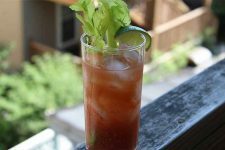 We grow cucumbers in the summer, so this is a great recipe to use up our crops when we have an over-abundance. Looks like its simple to make. Cucumbers are my favorite. I love to make a savory cucumber and red onion salad. How great this little side is…it goes along great with just about everything and my kids love it as well. That is the beauty of fresh veggies…you can’t go wrong. It’s not necessarily an ingredient you’d think of as super interesting, but it’s clearly got so many uses! I’d never heard of steaming or cooking it before but I might have to give that a try 🙂 I love making cucumber water too, it’s super refreshing to bring to the gym. I mostly leave the peel on but sometimes I’ll peel it in stripes so the peeled and unpeeled portions alternate. Peeling it only partly is really a simple, but effective way to jazz it up a bit. Cooking them works great, I remember that – when I was younger – we used to cut them into thick slices, halve them and cook together with white roux and small meatballs. I really loved that dish back in those days! Cucumbers are a great addition to many dishes. My salads simply aren’t complete without them, and adding feta, tomatoes and olives makes for a super easy Greek inspired salad. One way to make an aesthetically pleasing cucumber entrée is to shave off a bit of skin off the slices, in a line, and leave skin after, then repeat the pattern all around the vegetable. It looks great and makes a good compromise for those who don’t like eating the skin too much. So right, the combination of fresh veggies in a Greek salad is irresistible to me. Everything works together so well! And without cucumbers, it just wouldn’t be the same 🙂 The idea of peeling the skin like that is great, and it’s helpful for people who are not into eating it unpeeled. I enjoy preparing them this way, as well. Thank you for the wonderful article. Cucumbers are almost a staple in my home. We use them in all sorts of things. 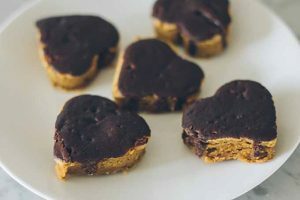 They are something that I can always get my kids to eat and they like them as well. These are really great recipes. I love cucumbers because they are so cheap and plentiful, really easy to get them and add them to almost any type of salad. The other thing that is important to remember is that cucumbers ( and melons) are almost entirely water, so if you are person who doesn´t drink a lot of water, eating these types of foods is a great way to keep yourself hydrated, especially in hot summer months. Thanks! What you’re saying is definitely true. During summer it is really convenient to practically “consume” the moisture with food like this. Especially when it’s so versatile and tasty! Cucumbers are one of the best things you can have in your kitchen come summer time. It’s such a simple and refreshing snack. One great combination I discovered a couple of weeks ago was slices of raw cucumber in tender coconut water. It’s a great pick-me-up when you’ve been out in the sun too long. 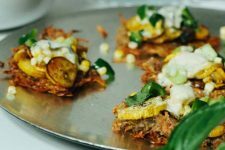 All you have to do is add cucumber slices, a squeeze of fresh lime juice, a few sprigs of mint, and if you feel like it, the flesh of the tender coconut itself into the tender coconut water. Serve chilled. It’s one of the most refreshing drinks I’ve tried in a long time. I often have a glass of water with lemon juice, a slice of lemon and a slice of cucumber – very refreshing and quite healthy! I could try a sprig of mint in that drink, too. Cucumbers are one of my favorites! Since I was a child I was always after it, most of the time ignoring tomatoes and the actual salad itself, stuffing my face with cucumbers. It’s amazing how you can use it in various different ways, which is such a joy at least for a person like me. Especially in summertime if you grow your own cucumbers, using them as a fresh ingredient you can make your food light-weighted and really refreshing. The recipes are really good, thank you for them! Right, when it’s all about light and fresh meals during the warmer months, cukes are a natural talent. Once you’ve discovered their versatility, you don’t want to miss it anymore! Keep on enjoying the variety and the recipes. I really love cucumbers, they are extremely versatile and of course, delicious, but I haven’t really tried them on regular foods, like those that you just mentioned, I used them as a snack, with some lemon, Tajin chili and salt to it, they become a healthy and cheap way to get something in your mouth when you’re craving for it. 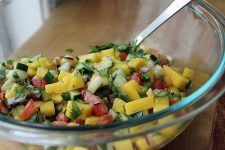 I really need to try the salad that you just mentioned, it seems to be the perfect option for summer, so refreshing! Yummy, your combination sounds delicious, too, I need to give that a try during summer! I hope you will like the salad, I really love the mix of ingredients, and the mediterranean nuance. Enjoy it! Very informative. We make the Turkish Shepherd’s Salad quite often and its so good, and healthy. We usually always have cucumbers in the kitchen because they are so cheap, and great snack option. Not to mention, I am on an all salad diet, and a salad is not complete without cucumbers. As we’re heading into summer, cucumbers are becoming a must have in our fridge again 🙂 In fact, my son is asking for cucumber sandwiches for school lunches at the moment. Interesting, I have never known that salad as anything but a Greek salad – that’s what it is called in restaurants and casually in Australia. Take out the feta and olives and then it has various names, lol (tossed salad, garden salad, simple salad, basic salad, etc). 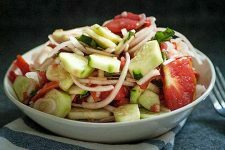 My family loves a cucumber salad that I make frequently – and many friends ask me to do that when we take a salad to BBQs and the like. It is refreshing and tasty, and a change from green salads.